Really. 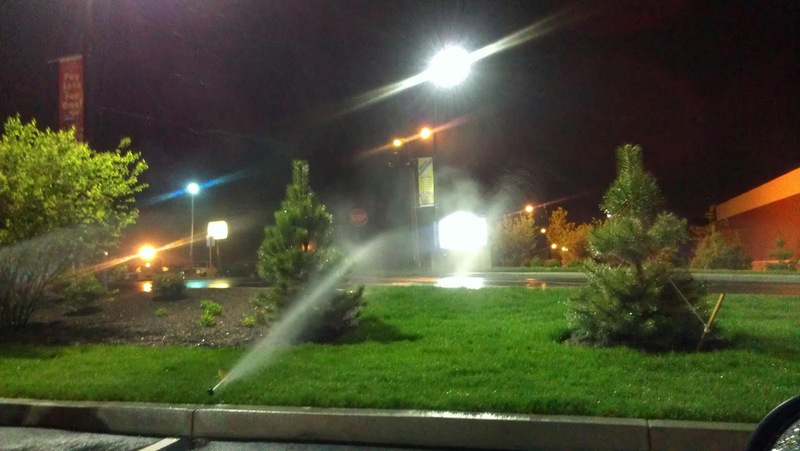 We have so much money and clean water, we think watering the grocery store lawn, at night, in the middle of an all day rain storm, makes sense. Good plan.